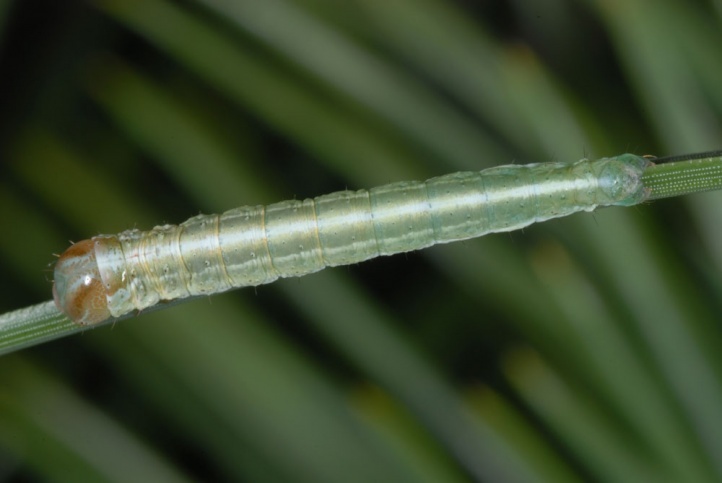 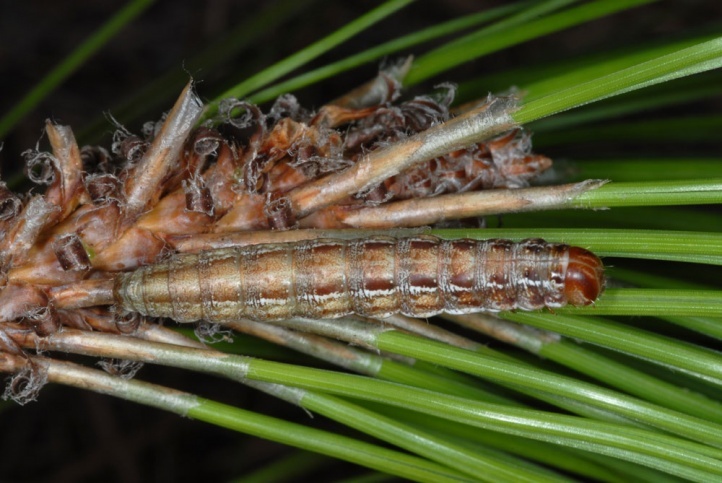 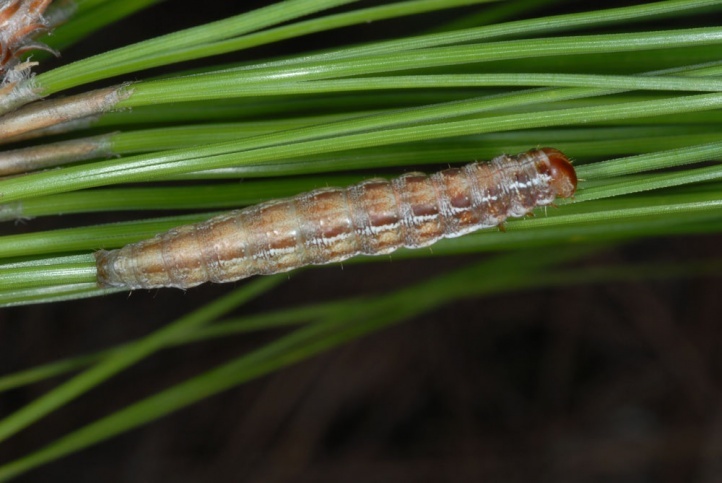 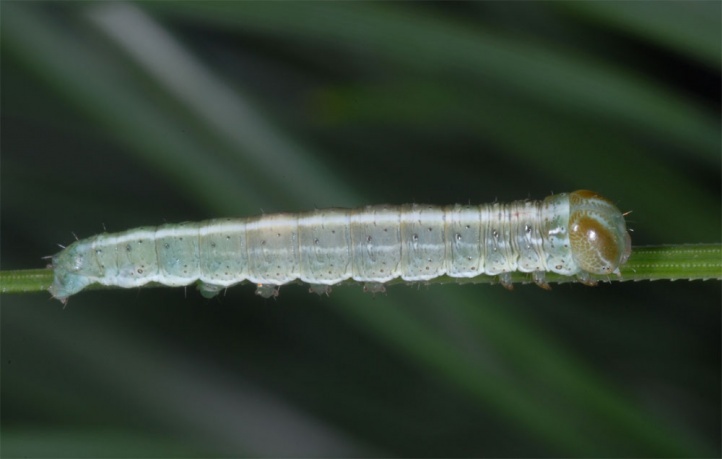 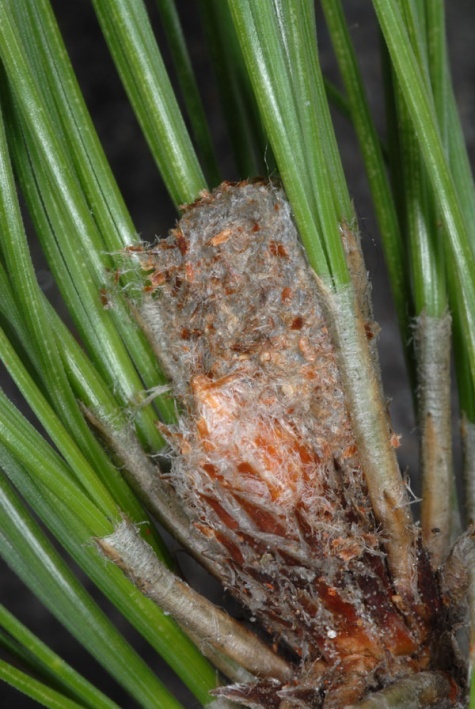 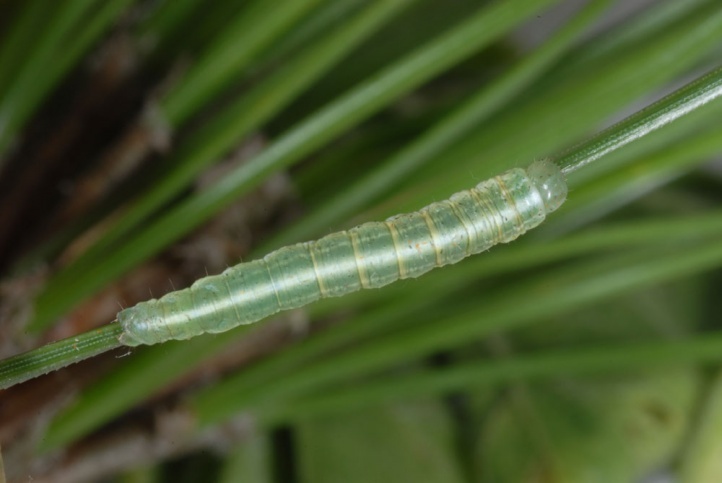 The larva feeds on needles of Pinus species (Pinus canariensis on Canary Islands). 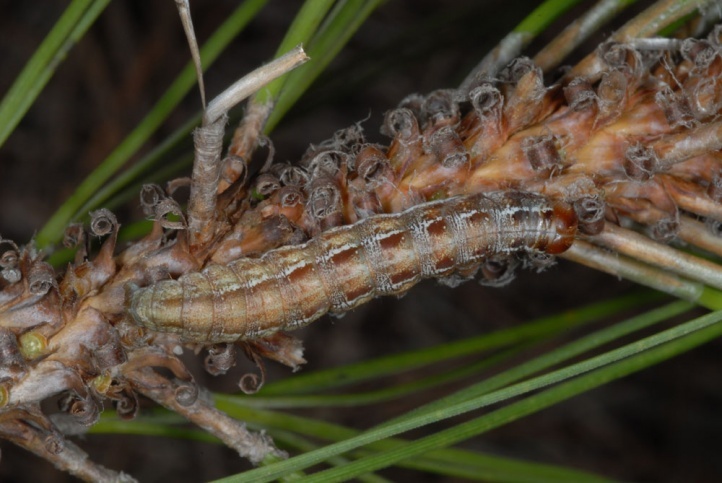 Bryonycta pineti settles in pine forests. 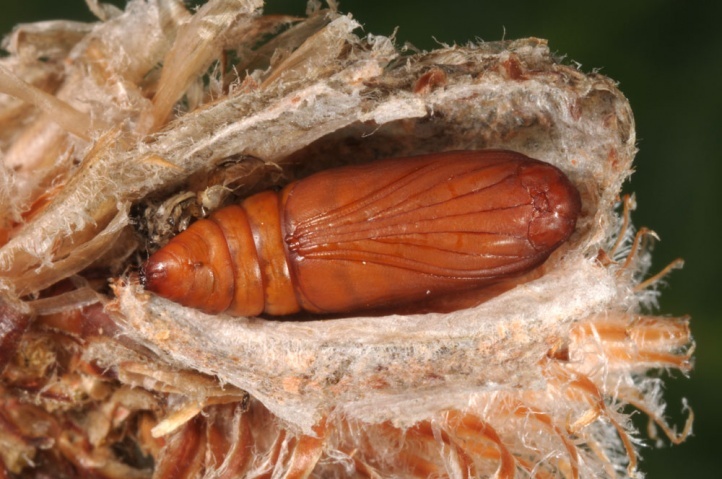 On the Canary Islands Bryonycta pineti can be found from about 600m above sea level to about 2100m. 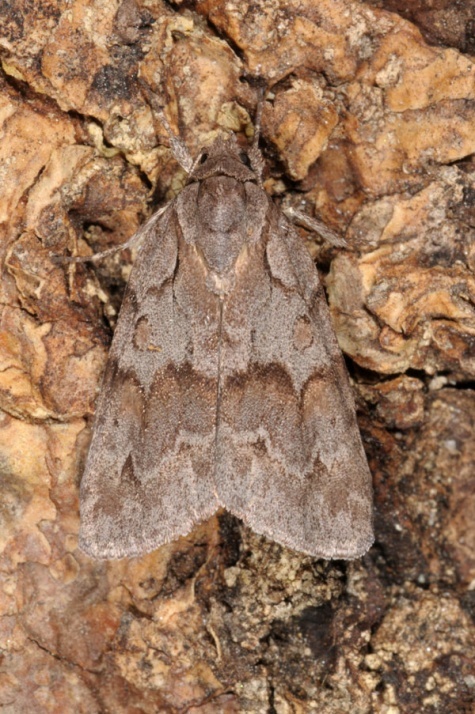 In southwest Europe, according to literature Bryonycta pineti is on the wing in several generations from spring to autumn. 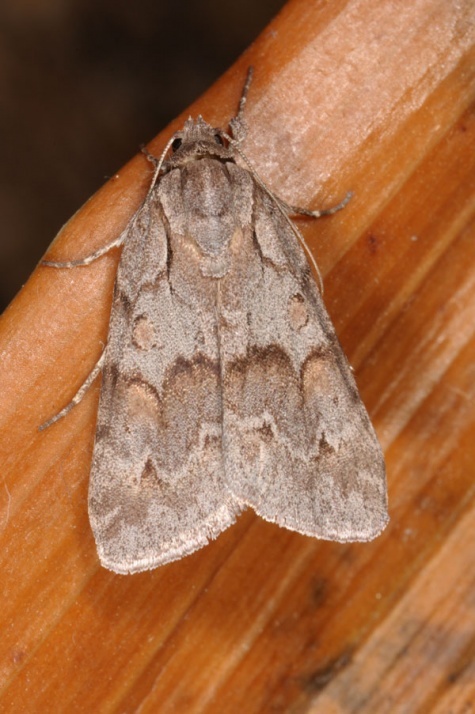 On the Canary Islands the moths can be found all the year with peak in autumn and winter and only very few individuals in the dry summer. 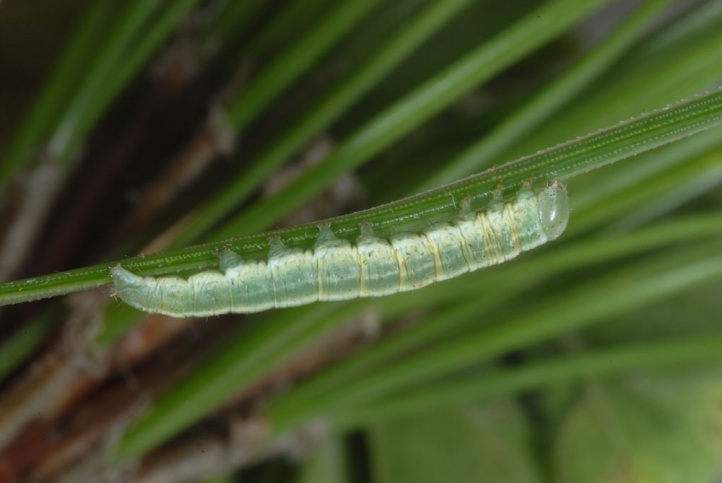 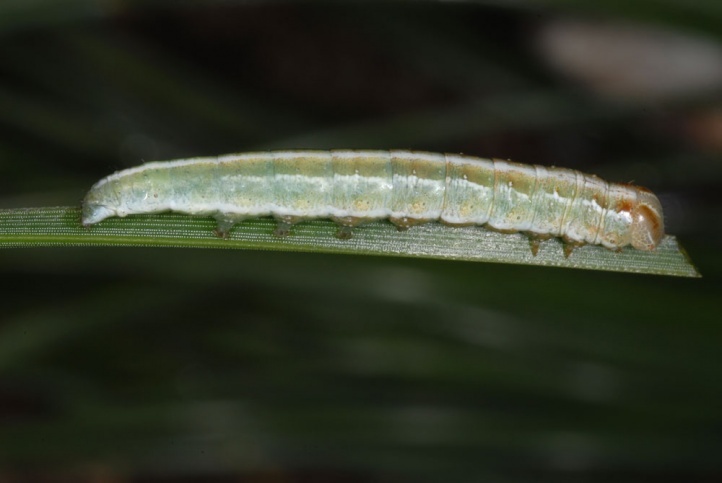 I observed larvae in La Palma in several years (2010, 2012) in December. 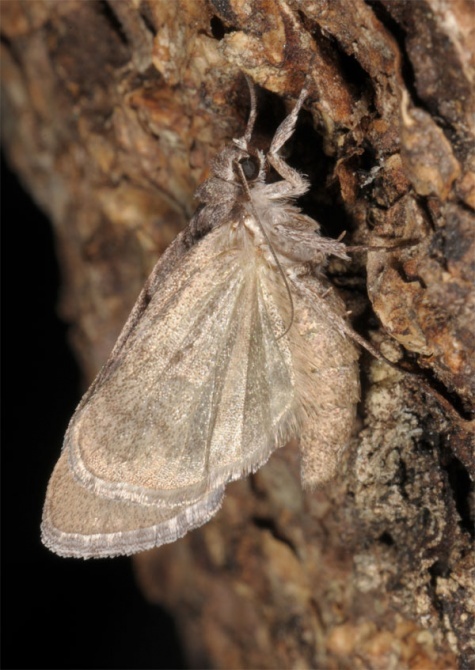 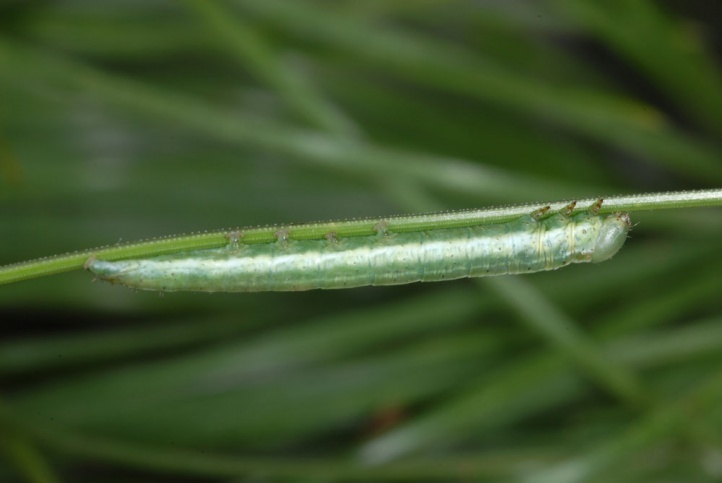 Young larvae rest on the needles whereas last-instar-larvae hide at the central bud or at the bark. 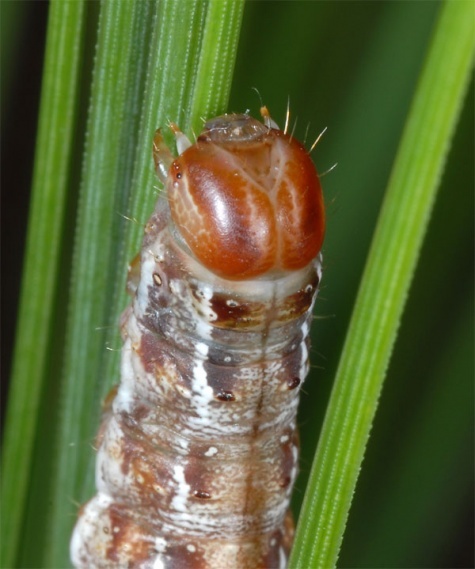 Pupation often takes place under bark (observations of old cocoons) or more rarely at the central bud of twigs. 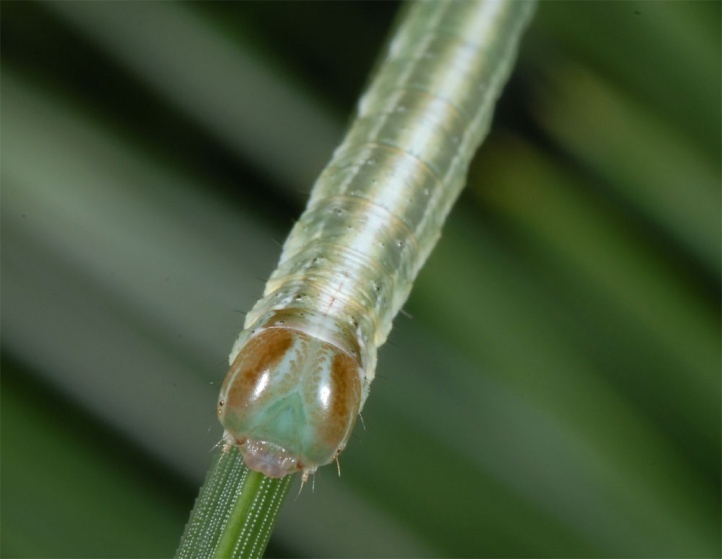 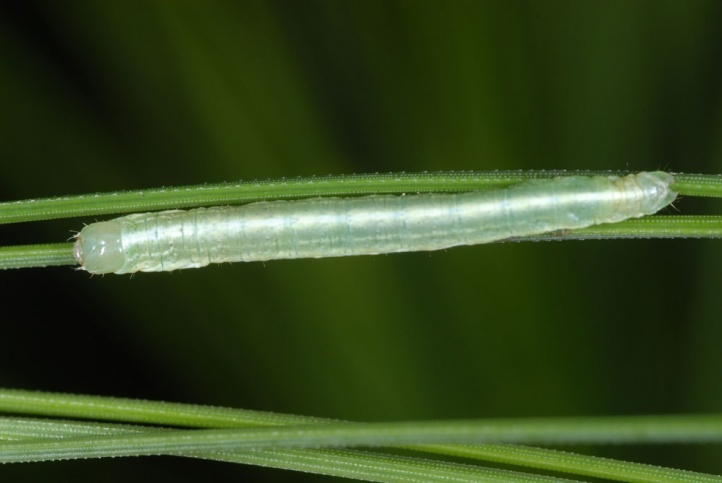 In the Canaries, the larvae often occur together with those of Calliteara fortunata and are usually also heavily parasitized. 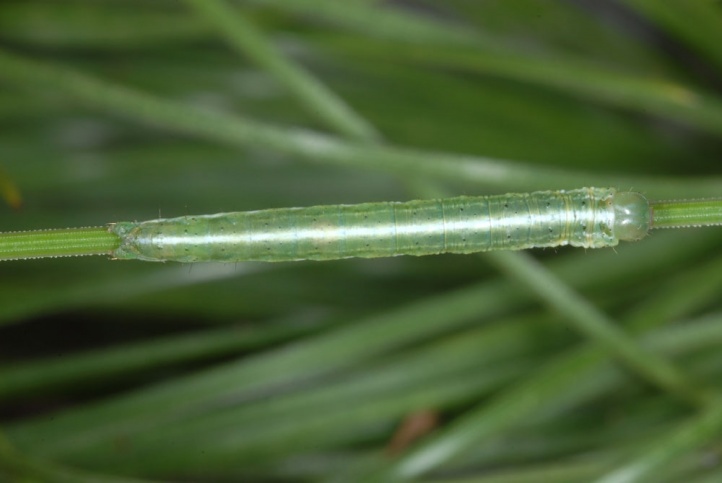 Bryonycta pineti is endangered only locally, e.g. 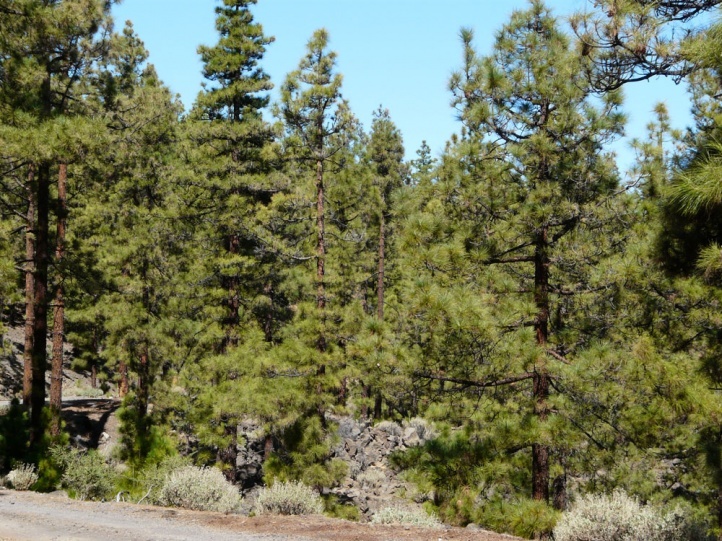 due to forest fires. 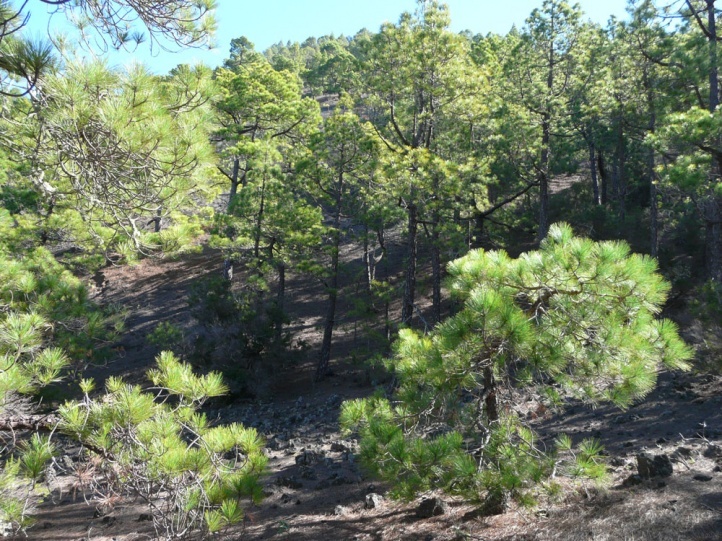 Bryonycta pineti occurs in the Iberian Peninsula, locally in southeastern France (Alps) and on the Canary Islands (Gran Canaria, Tenerife, La Palma). 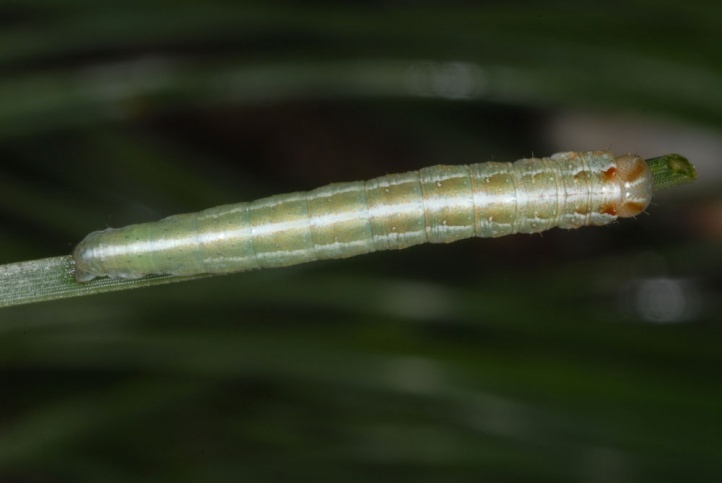 The populations of the Canaries are sometimes separated as distinct species Bryonycta opulenta.